I a big fan of Gilt, a site that proposes designer brands at super deals (up to 90% off the retail price, but in average 50% off). The site runs sale events that you need to attend on time. I find the site especially great for looking for toys you can only get in exotic places like Europe, e.g. Haba, or fancy clothing for baby, e.g. Jacadi. Being a fan of Gilt, I was searching for some other sites in the same vein. I found quite a few that I want to share. Recently I discovered Rue La la, and on top of their amazing deals, they have a sale on sale event that makes amazing designers entirely accessible to small budget. This is really to check out! 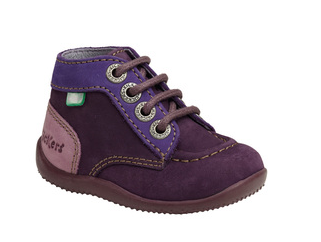 I shopped also a lot on ideeli, especially in the kid section where I could find the kickers of my childhood! I also found Luxuryhut, which carries more luxurious brand. In a different vein, but the best to find independent fashion, Moxie introduces "unknown" designers and offer one super deal every day. I discovered my favorite jeweler on their site... So I definitely recommend. I will be listing more of these sites, as I find them and use them. I also tried a few others but the brand did not appeal to me yet. Gilt --> the number 1 (at least for me). Sale events start at noon EST. Rue La la --> Sale events start at 11am EST and sometimes "liquidation deals" at 8pm EST! Moxie --> Everyday a new deal. Nice way to promote and discover new designers. Yoox --> There are no "sale events", but regular arrivals. Much more expensive, but if you check regularly you can find gems. Zulily --> Super deals, but specifically for moms, baby and kids. Great place to find nice clothing, designer clothing during pregnancy. Hautelook --> Sale events start at 8am pacific time. Plndr --> Sale events for "independent" fashion. Really cool. Reebonz --> Sale events and they also propose "Vintage Sales", e.g. Vintage Chanel sales. Envite --> Sale events and VIP super deals events. If you like Prada, Gucci, etc. this might be your favorite sale events site! Beyond the rack --> Sale events, lots of brands, lots of styles! Totsy --> Another new sale events site for baby clothing, accessories, gears... Very neat. Billion Dollar Babes ---> vintage treasures!! Chanel, Gucci, etc. Modnique --> A new growing one!! Nomorerack --> very limited items, super cheap, and a 2$ flat rate shipping. Ebates --> the site to start with before buying anything on the internet. When you subscribe, its gives you 5$. Then it offers cash back from every site you visit that they list, a bit like in your credit card programs. And they list a lot of web sites. So when shopping needs to be done, definitely go through this site. It seems to work so far .